Last Saturday evening, I had the pleasure of spending some much-needed girl time with my best friend. She lives in San Diego, so I'm always excited to visit and be a tourist in her city while she introduces me to fabulous bars, eateries, and shops. 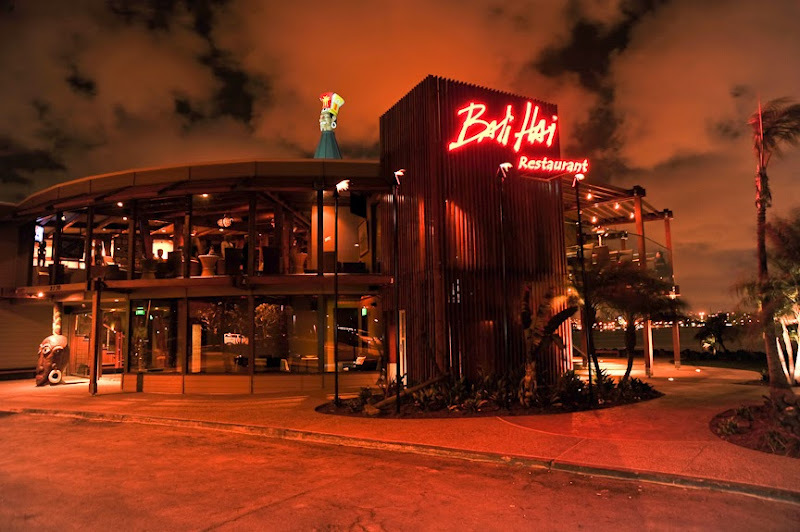 We went to this gorgeous resturant on Shelter Island called Bali Hai. As close to paradise as I'll come until Hawaii next year! The view is incredible. We sat upstairs overlooking the water, the downtown skyline glimmering in the background. I decided to use my salmon colored bow blouse and my navy city mini to try colorblocking. After wearing high heels the night before, I gave my feet a break with some comfy leopard flats. I could live in these. I think I've had them for about five or six years, and I'm shocked at how well they've held up! I just know you won't be disappointed. Where is the shirt your wearing from? I love it! I have a pair of rocketdog flats I bought from TJ Maxx for $10 in black and I wanted some brown ones so I bought some at Rack Room I think...I'm on my third pair of brown/bronze (they stopped making just brown) and that black pair I bought for less than half the money still looks the best. Thank you, the blouse is from nordstrom by bellatrix. They unfortunately don't have the same one, but they have other cute options with the same look. love this outfit! 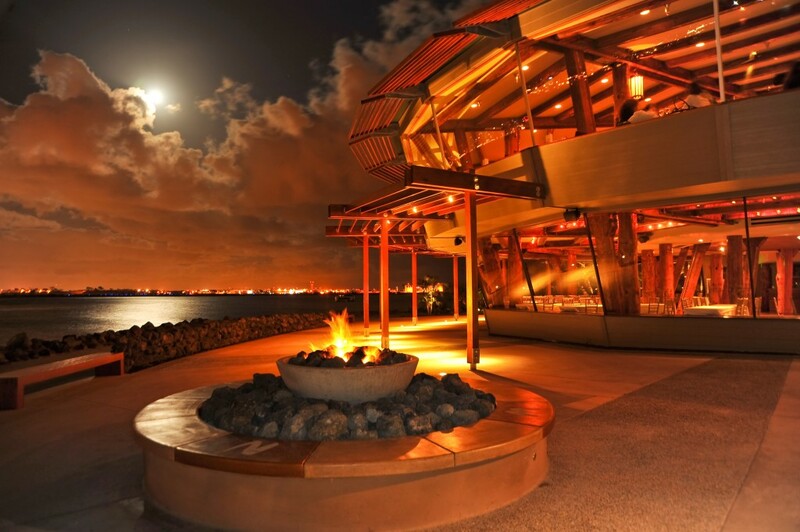 I live about an hour away from SD & have never been to this restaurant... must try it next time! What a cool-looking restaurant! Definitely looks like paradise :) Love the colour combo, Noelle! I've never seen a restaurant like that before! And those rings are so funky and fun! I'm jealous of your time at that beautiful restaurant, even more because it was time spent with your best friend! HOW cute are you? I love that top! What a pretty restaurant and your outfit is perfection. Those pictures are so cool! By the way, I copied you...I did. I finally bought (technically, my husband did) the mini mac and loved the gray color on you! My husband was tired of me talking about it. Now I know that whining works with him!